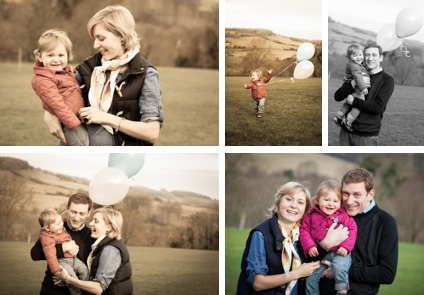 On the 25th January I photographed the wonderful Ramsey family. This was my second visit to their home in Bathford. The first was when Tisha was just 6 months old and now at 1 1/2 she was toddling about and chattering away and has really changed and grown since my last visit. Anastasia loves to incorporate props into her photographs so she had collected a few outfits and vintage/country themed items that we were able to use and I brought in some brightly coloured helium balloons for Tisha to hold as a little extra. I love it when clients have lots of ideas as it really adds their personality to the photographs. 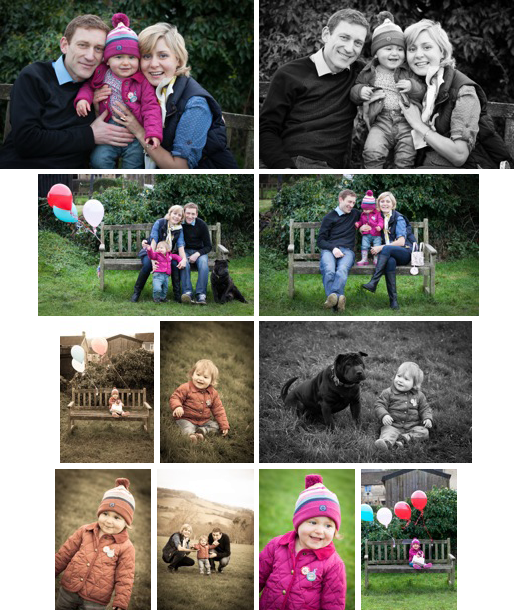 The shoot was a nice mixture of indoor and outdoor with the whole family including ‘Laura’ the doggie joining in too!! 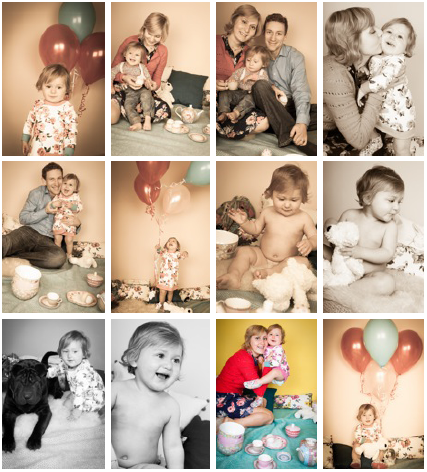 We had such a great time with little Tisha being very well behaved and patient with all the outfit changes and different set ups and I hope I captured a great memory of their little family. Thank you Ramseys for being such a fun and creative family!